This new 33 unit, state-of-the-art urban design, upscale apartment building is comprised of studios, one bedroom, one bedroom with den and two bedroom untis, centrally located at 725 8th Street Southeast. It has been designed and blessed with bike-in and bike-out friendly access. 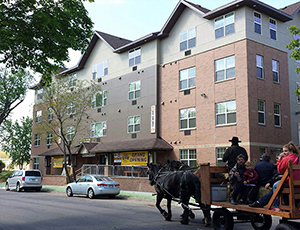 The property is located just four blocks from Dinkytown and approximately five blocks from the Stone Arch bridge. Great attention has been given to the creative use of earth tones, dark cupboards, ample wood trim, solid core interior doors, as well as the provision of in-unit washers and dryers. The Endurance is a very well built, sound proof building with extra attention to the floors and walls. The Endurance has been designed with simplicity in mind, & Kingdom motivated. It has the ease of an electric key systems, bike in & bike out access for that active lifestyle, and complimentary lobby Wi-Fi system. Each unit has been thoughtful in distributing the abundance of natural light. The Endurance has an easy on grade entrances. Central heating system, with unit air conditioning units. Open common hallways that allow for clear views throughout. Security camera system, Simple secure package drop off. Secure well-lit Surface parking located directly behind building. Please click line items below to see floor plans. At ease entrance, for a bike in and bike out release comes in handy for those on the go bikers. Bike room is centrally located in the Endurance and is well lit & secure, also has access to repair station. Our exterior Listahaust is located in the back of Endurance for easy scooter and bike storage. 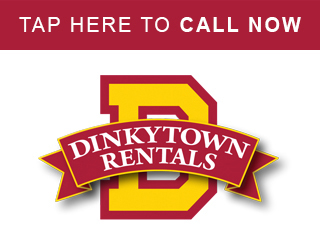 ©2019 Dinkytown Rentals, LLC. All rights reserved.